What do Manny Pacquiao, Vic Sotto, and Jessica Soho have in common? Besides being among the most popular and recognizable celebrities, they have also been named as the most Trusted Personalities in the country according to a poll conducted by Reader’s Digest. 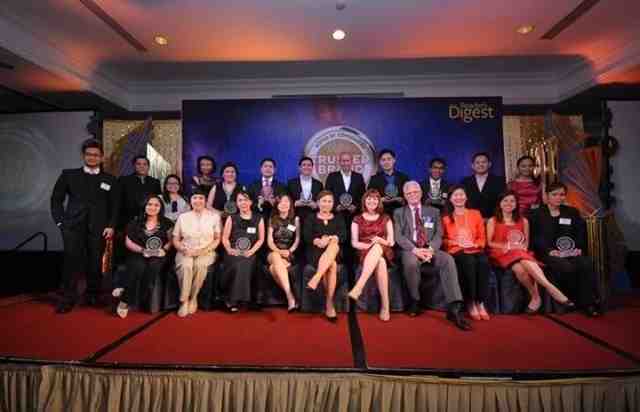 Now on its 15th year in the Asia Pacific region, the Reader’s Digest Trusted Brand serves as a barometer in identifying consumer preferences and brand appeal of products in various categories. This year, the survey looked at how social media has affected the shopping habits of Filipinos and other Asian countries. The Reader’s Digest Trusted Brands survey covered 7,000 respondents in seven Asian countries including the Philippines, Singapore, Hong Kong, India, Malaysia, Taiwan and Thailand, consisting of Reader’s Digest subscribers and Asian quality consumers. Emmanuel “Manny” Pacquiao is perhaps one the most popular Filipinos in the world because of his accomplishments inside the boxing ring. The ‘Pac-man’ was named "Fighter of the Decade" for the 2000s (decade) by the Boxing Writers Association of America (BWAA), World Boxing Council and World Boxing Organization. He is also a three-time The Ring and BWAA “Fighter of the Year,” winning the award in 2006, 2008 and 2009, and the Best Fighter ESPY Award in 2009 and 2011. Pacquiao was also rated as the best pound-for-pound boxer in the world by some of the most respected sporting news and boxing websites, including ESPN, Sports Illustrated, Sporting Life, Yahoo! Sports, About.com, BoxRec and The Ring. When he is not wearing his boxing gloves or busy training, Pacquiao also dabbles in acting, hosting, singing and serving his constituents as the congressman of the Sarangani province. He has also hosted a few shows on the GMA Network including the defunct variety show, “Manny Many Prizes” and the drama anthology “Para sa yo ang laban na To.” He is currently working on a new show for the Kapuso network and training for his upcoming bout in November. While the past year has been tough for the Filipino Boxing Pride, Pacquiao edged out several other notable athletes to become the first-ever Reader’s Digest Most Trusted Sports Personality awardee. It’s a back to back victory for everyone’s favorite “Bossing” Vic Sotto as he was again named as Reader’s Digest Most Trusted TV Host and Presenter for Entertainment and Variety. From being part of the comedic trio, Tito, Vic and Joey, and hosting the longest-running noontime show Eat Bulaga, Vic Sotto has also established a name for himself as a producer, award-winning actor and box-office King. Sotto has produced more than a dozen films including the top grossing ‘Enteng Kabisote” franchise and currently stars in the TV sitcom “Vampire ang Daddy Ko.” He has also hosted and starred in several other shows for TV5 including; Who Wants to be a Millionaire, The Million Peso Money Drop, The Jose and Wally Show Starring Vic Sotto; R U Kidding Me and LOL: Laugh Or Lose. 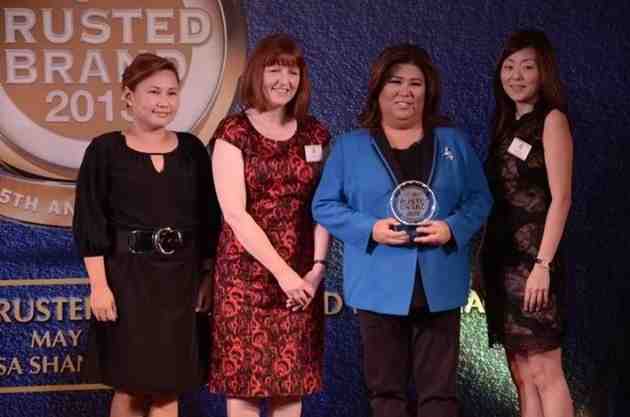 For the third consecutive year, GMA Network’s VP for News Programs Jessica Soho again emerged as Reader’s Digest’s Most Trusted News Presenter besting some of the top broadcasters in the country. Soho is widely regarded as the most awarded broadcast journalist in the country and her long list of awards include the highly prestigious George Foster Peabody Award, which is considered the Oscars of broadcast journalism. She recently received the Best News Anchor, awarded by Gandingan 2013: The 7th UPLB Isko't Iska's Broadcast Choice Awards Awards; Achiever in Documentary, from The EdukCircle, International Center for Communication Studies and Most Outstanding Filipino Documentarian of All Time. She currently hosts GMA News TV’s flagship program, State of the Nation with Jessica Soho and Brigada as well as Kapuso mo Jessica Soho on GMA 7. Unlike ordinary newscasts, SONA provides viewers with more than just a rundown of the day’s top stories as it presents news, investigative reports, full-length exclusive interviews ending with an insightful editorial.